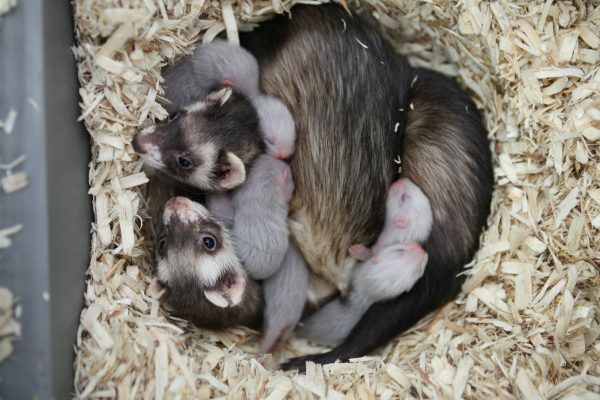 Jills – female ferrets – are incredibly friendly and social and often sleep cuddled together. Research ferrets are housed so that they can exhibit their natural behaviors, keeping them happy and healthy. Jills with litters spend most of their time in the nests nursing and cuddling with kits. Jills will even nurse litters together.